You’ve all heard of glass skin, right? Well, it’s official, glossy is the new matte – and not just skin, but eyes, cheeks, and (of course) lips as well. Which is handy, because I’ve just discovered a product that can be used for all the above. (and is wayyyy easier than committing to a glass skin skincare routine). 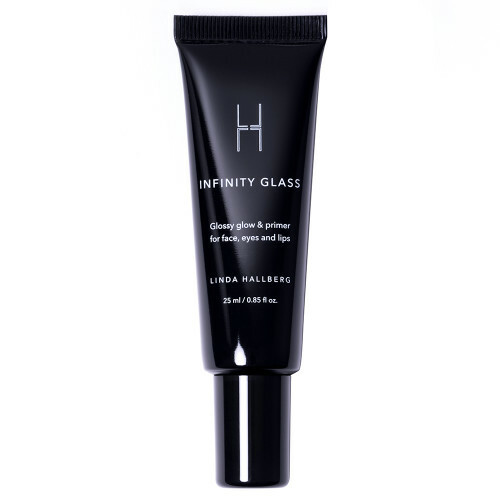 Linda Hallberg’s Infinity Glass is one of the brand’s bestsellers – for a reason, it’s a totally unique. 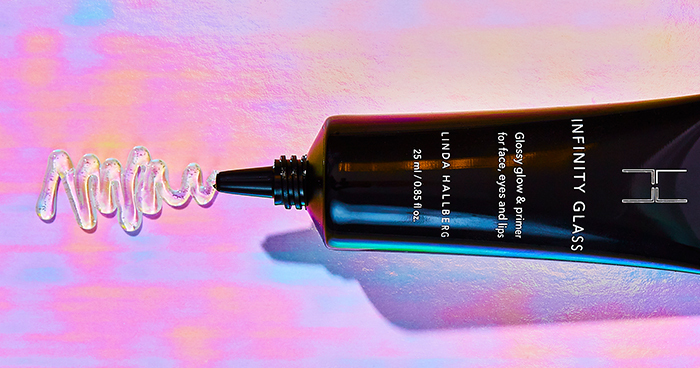 A non-sticky multi-functional gloss that gives a radiant high-shine finish wherever it’s used – which, according to Linda can be ‘literally anywhere’. The magic is in the texture – you might expect it to be thick and gloopy like a traditional lip gloss, but it’s more balm-like, with a smooth primer-like slip that blends with skin rather than sitting on it. The result is a true ‘glass’ effect. It’s really easy to use. For eyes, just take a little bit of gloss on your finger and tap it over your lids (bounce rather than rub), for lips, apply as you would a regular lip gloss, for cheeks, pat onto the cheekbones where you’d normally apply highlighter, and for skin, use as a primer underneath makeup or mixed with foundation. You can even use it on your legs and collarbones to give extra shine, or as a mixing medium for loose powders or glitter. My favourite way to wear it is on my eyes, layered over a bright bold red matte that’s built up to the browbone and loosely winged out. Of course, waterproof mascara is a must if you want lashes to stay intact and lids to stay unmarked – wait as long as you can for the mascara to set before you look up and you’ll be good to go.